Students at Quinnipiac University and Tulane University in the US are testing an NFC version of the Blackboard Transact campus card system, enabling them to use NFC phones in place of their campus ID cards for access control, meal purchases, laundry, copying and printing. The pilot program uses NFC readers that have already been installed by Blackboard in more than 250 campuses across North America and, although the pilot is scheduled to run until May, other institutions may join sooner, Blackboard says. Students are using Samsung Galaxy S III smartphones in the pilot and require an NFC SIM, supplied by a carrier which Blackboard has declined to name. 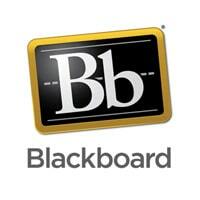 “Once the student has logged into the Blackboard Transact NFC mobile app at the beginning of the pilot, the phone credential is automatically and securely provisioned over-the-air and no other action or device is needed,” Blackboard says. “The student world is a mobile world, accelerated by the proliferation of mobile learning and BYOT [bring your own technology]. Mobile devices are core to the educational experience,” says David Marr, president and general manager at Blackboard Transact. “Campuses are going mobile and we wanted to leverage this reality by giving students a seamless experience to navigate campus with a mobile credential,” says John Meriano, associate VP for auxiliary services at Quinnipiac University.